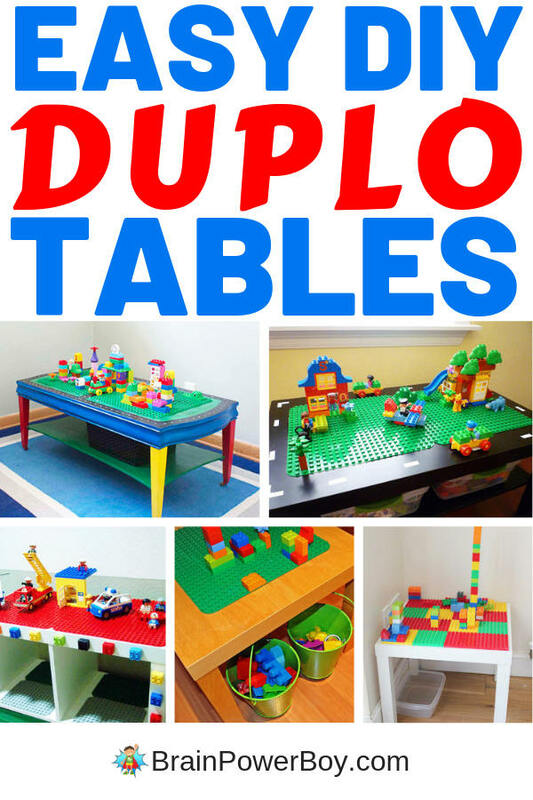 DIY DUPLO Tables: Hacks and Awesome Ideas! 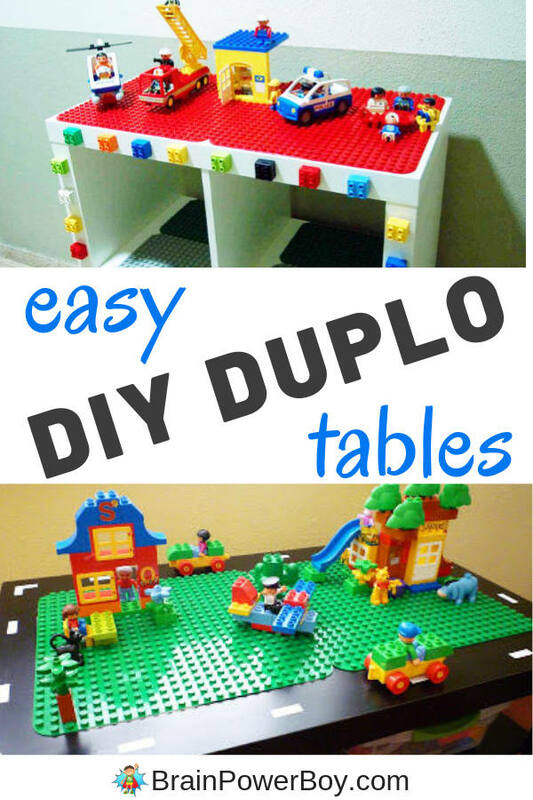 If your child plays with DUPLO, you need to make one of these DIY DUPLO tables! Not only will they love it but it will be a wonderful addition to your home. These tables are nice for the kids (they love them!) but they are also a great way to keep the bricks organized and in one area. You can use one of the organization ideas show on the tables below or even grab a plastic bin to put near the table to keep them contained when not in use. 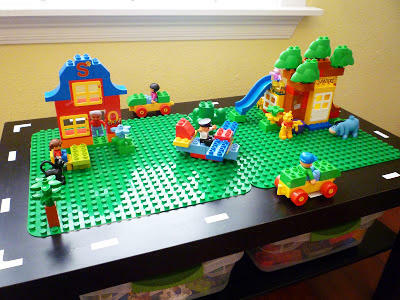 Having a DUPLO table also encourages play because it is out in the open and visible to your child. TIP: if you want them to play with it getting a new set (this one looks fun!) or setting up a little scene with the bricks they have can help them get interested again quite quickly! I used to do this a lot with toys. You are creating an invitation to play. 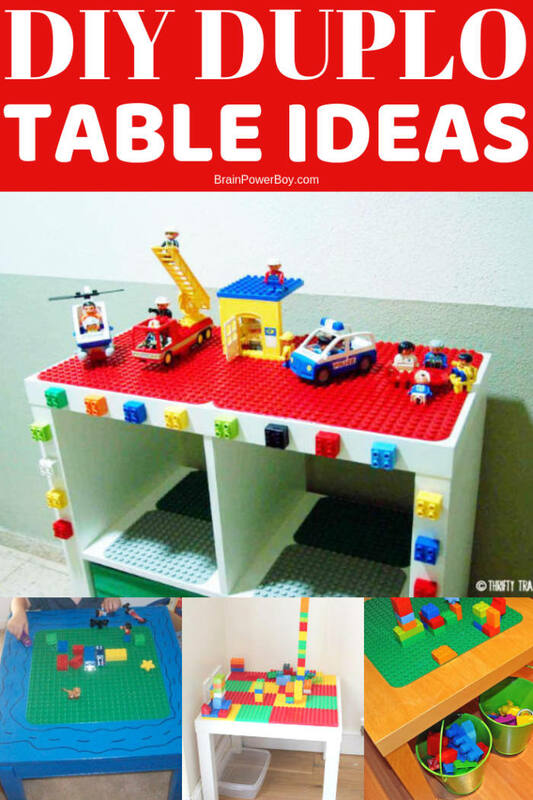 There are a lot of posts on LEGO tables, but I couldn’t find a good one on DUPLO tables so I wrote one! Toddlers and preschoolers need a table too. Right?! I think you will really like the play tables I found. If you are into DIY and hacks this is going to be right up your alley. If that is not your thing, do not worry as I picked some that are super simple to make. All you have to do is decide which one will be perfect for your family! I like this one because it has a lot of space on it. Plus gotta love . . . the road idea! 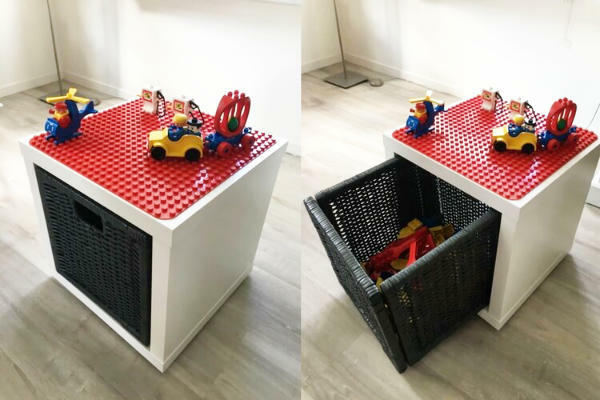 The coffee table they used has a shelf underneath which is a great place for putting some bins to keep their DUPLO in. Be sure to pay attention to the idea she shared about making a road through the middle so you can build a tower and run cars through it. Brilliant idea! 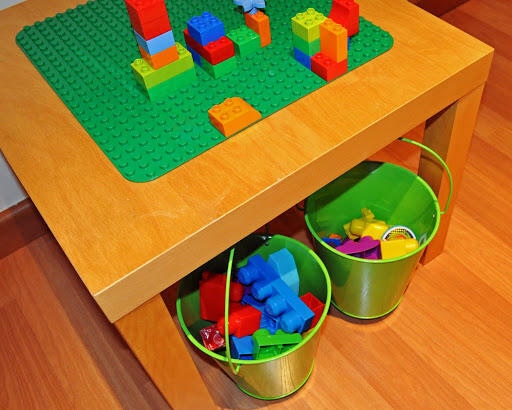 Another coffee table hack idea is to use the LACK coffee table or one similar to that and use two DUPLO plates. Add some black paint, a white stripe for a road and you are ready to go. 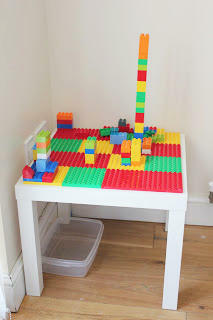 Using the ever popular IKEA LACK table, this small DUPLO table will fit into most any room. It is super easy to make as well. Essentially all you need is the table, the plate and some buckets. Simple but colorful is how I would describe this table. 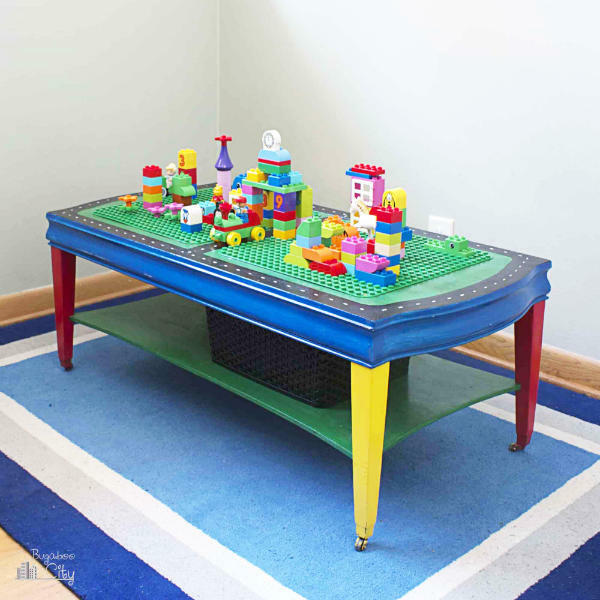 I love that she took different colored DUPLO plates and placed them over the end table to create a fun and inviting play space for her kids. 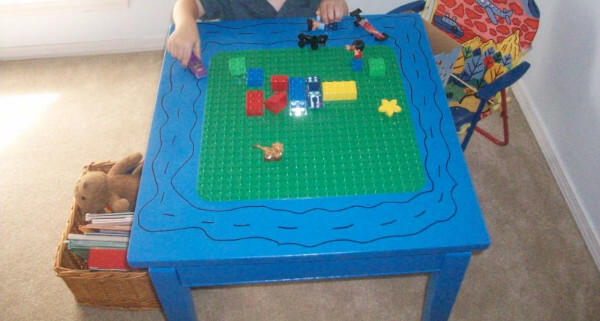 A $3.00 thrift store table is transformed into a blue DUPLO table for her little boy. How cute! Using the KALLAX shelving unit cube, they made this cool table. My favorite thing about it is the big bin that goes in to hold all of the bricks and characters. Here is a nifty IKEA hack for the EXPEDIT shelf! Yes, she made a shelf into a table and not just any table, but a rolling table. What I like about this one is that it will grow with your child. The rolling table has locking wheels just so you know. That makes it is super nice for allowing you to move it into a closet or another room. 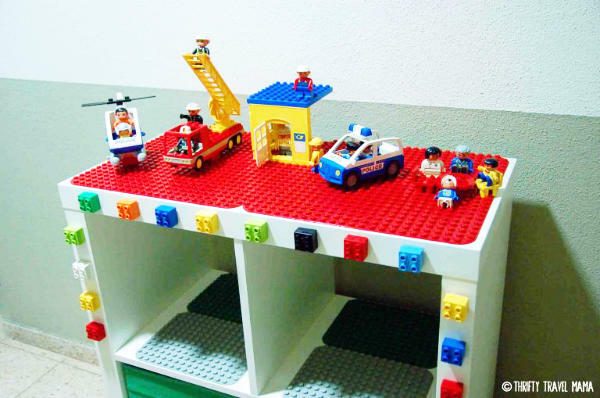 I hope you found a great DUPLO table to make yourself. They are very easy to make so don’t let the DIY aspect of it slow you down.